As this is written, 17-year-old Brooke Henderson is in the lead at the Swinging Skirts LPGA Classic with two rounds to go. She shot 70-65 in the opening two rounds. On Lydia Ko's 18th birthday, who knew that a golfer even younger than Ko would steal some of the spotlight? It's not a surprise, however, that Brooke is doing well in her rookie year as a pro. 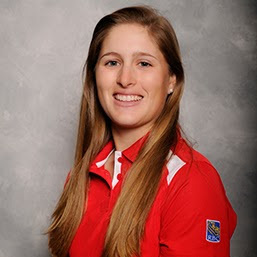 You only have to consider what she accomplished as an amateur in 2014: She was runner-up at the U.S. Women's Amateur; she won the Junior Orange Bowl, South Atlantic Ladies' Amateur Championship, Scott Robertson Memorial, Porter Cup and the Ontario Women's Amateur Championship. She made the cut at the Kraft Nabisco Championship and finished 10th at the U.S. Women's Open, earning low amateur honors. But Henderson was winning professional tournaments even earlier: When she was still only 14, she won a tournament on the CN Canadian Women's Tour. 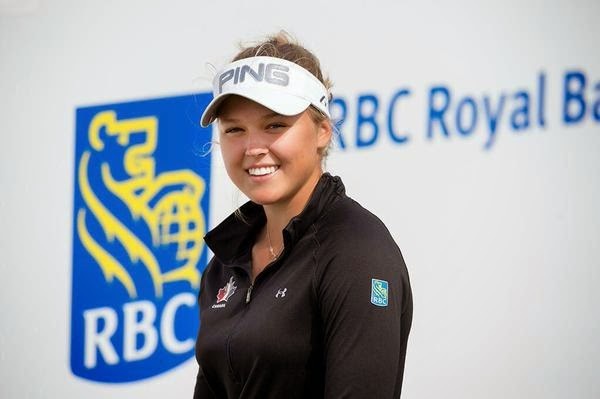 And in 2014 - it was a big year - Brooke won two more Canadian Women's Tour tournaments. She ended 2014 as the No. 1-ranked amateur in the world rankings, then late in the year turned pro. Henderson is playing the LPGA without any status in the early part of 2015; her request for an age waiver to take part in Q-School at the end of 2014 was denied. But if she keeps playing the way she has so far this week, Brooke will have enough money - or even a win - to gain status (or membership) sometime this season. 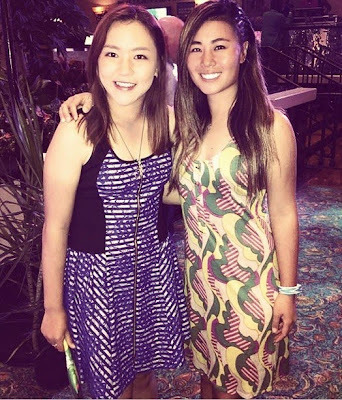 We're writing this on Lydia Ko's 18th birthday. Wow. It's hard to believe Lydia is just now turning 18 both because she's been around so long and because of how much she's accomplished already. Ko is the best female golfer on the planet, and she already has 10 professional wins (recapped here). There's no telling what heights she will reach - but there's also no reason to saddle her with expectations of becoming the all-time greatest (although that certainly seems possible, doesn't it?). So let's enjoy Lydia Ko's last two years as a teen. Let's appreciate with wonder what she's already achieved, and look forward with great anticipation to what might still be ahead. And the Southeastern Conference women's champion of 2015 is ... Bianca Fabrizio. Fabrizio, of Texas A&M, won the SEC Conference Championship tournament that concluded (rain-delayed) on Monday, April 20. And the way she did it? By birdying her final three holes to catch and pass her Aggies teammate Maddie Szeryk. That's a special way to finish off a win. Fabrizio wound up at 9-under 207, winning by two strokes. That score tied the tournament record. Fabrizio and Szeryk also led the Aggies to the team championship. So quite a week for Fabrizio. Fabrizio is Italian, coming to College Station by way of Treviso. This is her sophomore season at A&M. Her best tournament finish as a freshman was a 12th place. Her first college win came earlier this year, and in similar style to her SEC championship: She birdied the final two holes at the Florida State Matchup, which forced a playoff. She then won the playoff. Bianca is currently ranked No. 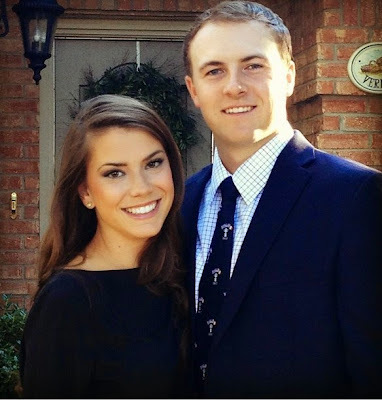 234 in the World Amateur Golf Rankings, but is likely to climb after her SEC title. She's No. 95 in the European rankings. Just four tournaments into her career as a professional golfer, Augusta James is a winner. James took the trophy at the Chico's Patty Berg Memorial on the Symetra Tour, which finished in Ft. Myers, Florida, on April 19. 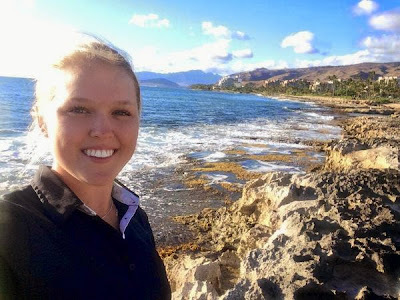 James, from Canada, got off to a terrible start after leaving North Carolina State University to turn pro: She was DQ'd from her first Symetra Tour event, the Gateway Classic. This is a nice way to recover! James finished 56th in her second start and 30th in her third. And now, in her fourth, she's the champion. James carded rounds of 69-70-72-67 for a total of 10-under par 278, beating runners-up Brianna Do and Laura Kueny by four strokes. 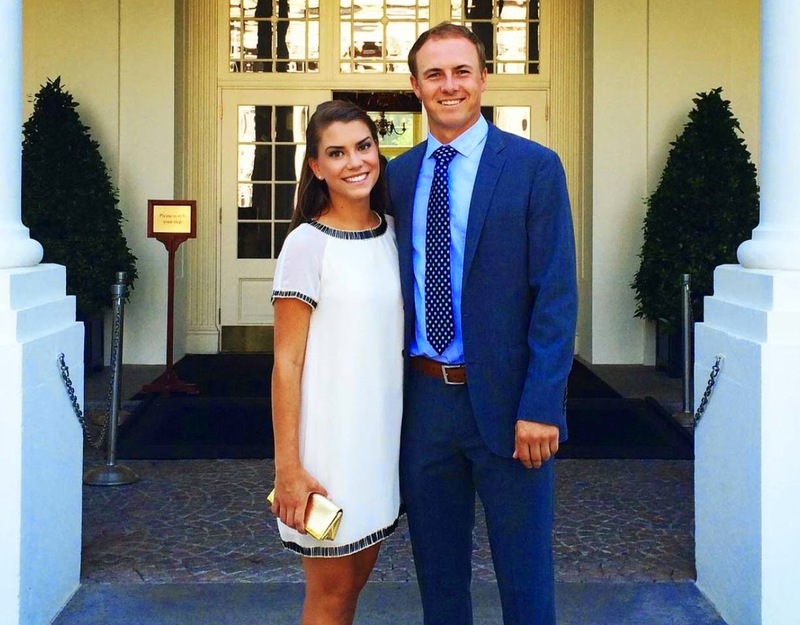 Augusta, age 21, won the 2014 Canadian Women’s Amateur one week before her brother, Austin, won the Canadian Junior Boys Championship. 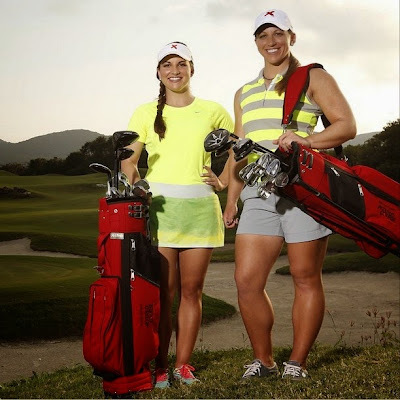 This makes them, Golfweek reported, "the first siblings in Golf Canada history to win national titles in the same year." James was the Freshman of the Year in the ACC in 2012, an All-America selection in 2013 and 2014, and the MVP of the N.C. State golf team three years running. Jordan Spieth is only 21, but he's been with his girlfriend, Annie Verret, for quite a while already. That's because they were high school sweethearts. 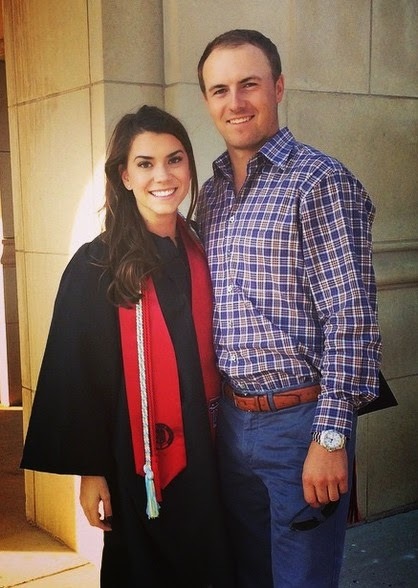 Jordan captioned it, "Really proud of @annie_verret on an extremely successful college career! 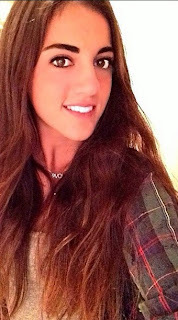 #shesgoodlooking #morehairthanme" Do you recognize the colors Annie is sporting? 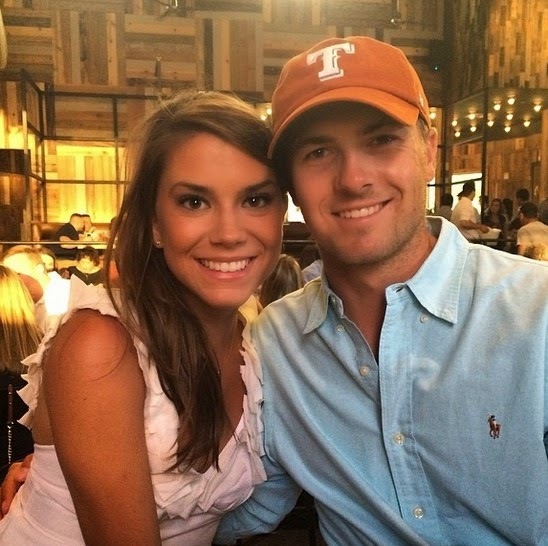 They aren't burnt orange (Spieth's University of Texas, although, remember, he left after only a year). They are the red-and-black of Texas Tech. While there, Annie majored in business and carried a 4.0 GPA. 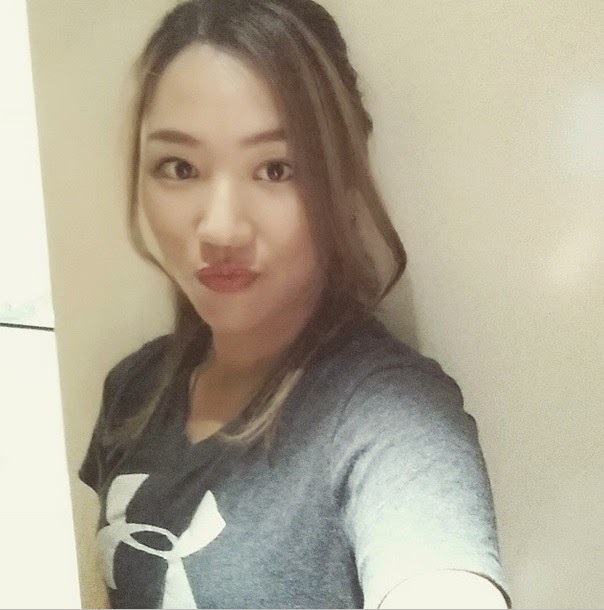 Annie Park is going pro. The University of Southern California star has decided this will be her final season in college. 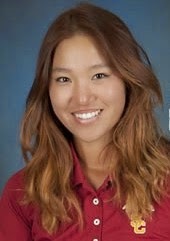 When the current season ends in late May, Park will leave USC and turn pro. She is currently in her junior season. 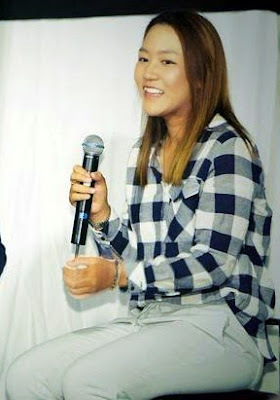 Park played in LPGA Tour Q-School late last year and earned status on the Symetra Tour. That's where she'll play her first tournaments as a professional golfer in a couple months. Park just turned 20 years old. 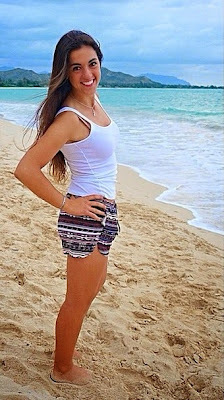 She grew up in Levittown, New York, on Long Island, and while in high school played her way into the 2012 U.S. Women's Open. As a freshman at USC, Park won the 2013 NCAA individual women's championship; she also carded her career-best round of 64 that year. She's a 6-time collegiate winner while at USC. Four of those wins came during the 2012-13 season, tying the school record for most wins in a year. During the current season, Park has a victory at the Windy City Collegiate Championship. We don't know anything more about Sonders' appearance other than what's in her tweet: It's a cameo (she's not in the episode for very long), and she joins the cast on the golf course. No surprise to see Sonders showing up in a FOX series, really: After all, she left Golf Channel for FOX Sports this year. It makes sense for the network to promote her across its channels. She's certainly a star with the potential to become an even bigger star.